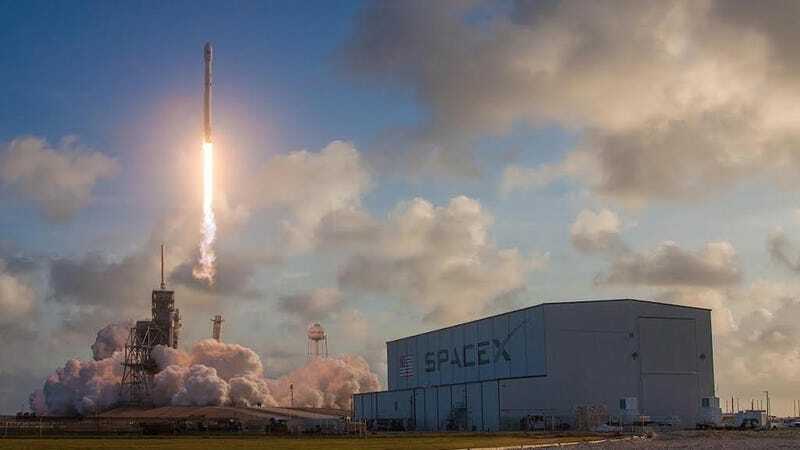 The typical SpaceX payload might include a communications satellite, some ISS supplies, even the occasional spy network. But later this year, the aerospace company will embark on something quite a bit more endearing: a Falcon 9 rocket will carry the cremated remains of beloved family members into space. Elysium Space will be providing the unusual service on its Elysium Star II memorial spacecraft, which is set to blast off from SpaceX’s launch facility at Vandenberg Air Force Base in California, the startup announced this week. For $2,490, families can reserve a spot within a CubeSat that will carry 300 boxes of ashes in a sun synchronous orbit around Earth—about 100 parties have already signed up. The sun synchronous orbit will ensure the spacecraft passes over every location on Earth during its two year journey. Unlike most SpaceX missions, the customers are not billionaires or corporations, they’re ordinary people—military veterans, space enthusiasts and more, according to Elysium. The concept of space burials is not new. Celestis Memorial Spaceflights, which was founded in 1994, sends cremated remains into deep space, lunar orbit or the lunar surface—starting at $12,500, of course. Many celebrities have had their ashes sent in space, including Star Trek creator Gene Roddenberry and sixties counterculture icon Timothy Leary. With Elysium, not only can more ordinary families give their loved ones a cosmic memorial, folks can follow the satellite’s whereabouts via a mobile app. After two years, the company’s CubeSat will re-enter Earth’s atmosphere as a “shooting star” that customers can watch. If all goes according to plan, it should make for a pretty poetic tribute.